Protect the brands! While this may mean nothing at all it is still worth reporting. 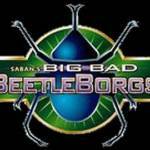 As of 04/19/2017 Saban Brands has registered trademarks for “Beetleborgs” and “VR Troopers“, specifically in the realm of live action television series, pre-recorded DVDs, and random clothing apparel items. For those waiting for Dak and the adventures of Masked Rider to return in some way, shape, or form … you may have to keep waiting. Stay tuned for more news on all this as it develops! For DVDs, live action entertainment, and clothing. Thanks to @nightmere10 on Twitter! It'll be hilarious if they somehow use Kamen Rider shows as new VR Troopers and Beetleborgs. I have no idea what to think about this. Metal Hero isn't really a thing anymore, despite Toei's repeated attempts to try and make it one, so I have no idea what this could be for. I did notice a lack of trademarking for merchandise outside of Clothing and DVD's. Would it be Saban or Bandai who would trademark toy, or whatever category toys fall under, rights? Well...Neat, I guess. I don't plan on buying any DVD's. I assume this means nothing just like "Powered Rider", but I'd be happy to be proven wrong. Imagine Western actors saying We are VR at the top of their lungs as they insert the gashat or some genie wearing an Elvis suit but talks like Jay Leno transforms kids into Kabuto and TheBee as a dubstep rendition of the theme song plays. Technically there IS new Metal Hero footage to work with- the Space Sheriff revival movies. I would watch a VR Troopers movie made from the Space Sheriff films. 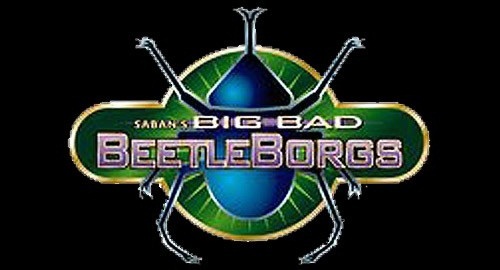 Beetleborgs can be adapted from Kamen Rider Kabuto. It's a possibility. Maybe it's for a cinematic universe?